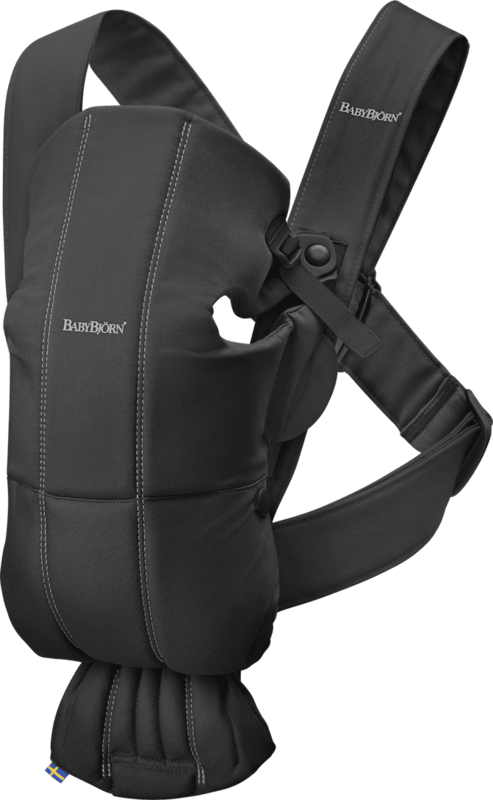 BabyBjorn has released a brand new carrier: The Baby Carrier Mini. 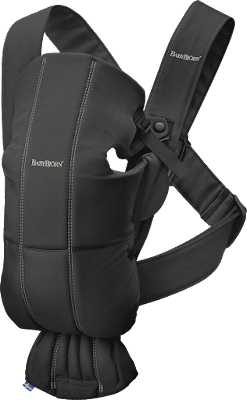 The Mini is a small baby carrier that is easy to use for short babywearing sessions. It is perfect for newborns, as you can check your newborn’s position and the natural C-curve of their back with your hands through the fabric. You can also unfasten the entire front of the carrier to easily lift a sleeping baby out of it. It is also the easiest and fastest to put on of all the carriers. There are just a few adjustable buckles on each side, so you can take if on and off quickly. It is available now in seven different colors, including 3D mesh. 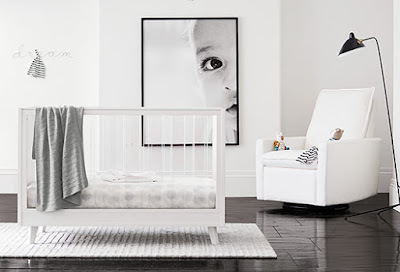 Pottery Barn Kids has created a new collection of modern baby items, including furniture, beding, gear and room accessories. There are five style categories that include Glam Modern, Hip Modern, Natural Modern, Casual Modern and Minimal Modern and as of now, 15 different nursery sets. You can also find a great selection of gear, including Nuna, Thule, Bloom and Doona. All of the wooden furniture in the collection is Greenguard certified and all bedding is 100% organic. This is Tiny Love's first activity center and it has a lot of cool things about it. The 4-in-1 Here I Grow center be used as stationary activity center, push-along, jumper, or walker, depending on the age of the child. The seat can spin 360 degrees while exploring 7 interactive toys and over 20 activities as a stationary entertainer. It can also be transformed into a stationary jumper and even move as a walker as the baby grows. Once the baby is older, it can be pushed along as a toy. 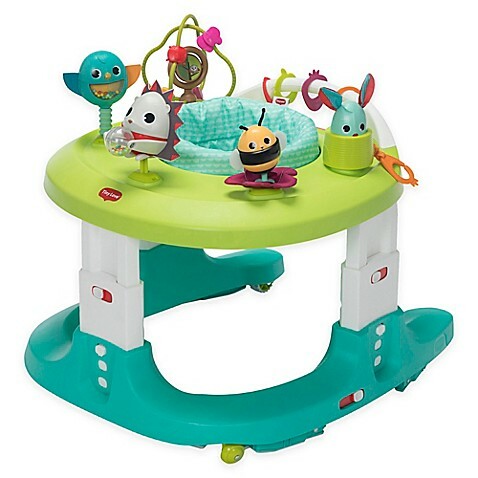 Unlike other baby entertainers and jumpers, this once can be used at least to 15 months and maybe longer (most others only accommodate babies to around 9 months). Are you looking for some modern baby furniture? Ordinary just doesn't do it for you? Well check out this new line. Make a statement with the mid-century inspired Mod Collection by Ubabub. 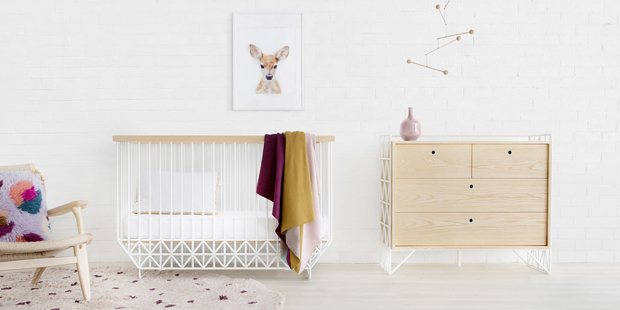 Sleek, modern and durable, featuring the Mod Crib and Mod Dresser, this collection continues to push the boundaries of nursery furniture design. Both items are in stock now and ready to become the focal point of future modern nurseries. Doona is getting an update. Coming this fall, the seat will change its look. The base of the new Doona will now be a darker aluminum and the seat itself will now be a new black patterned fabric that is more breathable. The infant inserts and head support will be a new darker grey and the canopy will be made of a new stretch material that has a tighter fit. The canopy and harness pads will now be the colors. The new ones include Flame Red, Blush Pink, Racing Green, Grey Hound, Nitro Black, and Royal Blue. They can be pre-ordered now. The Trailz stroller has gotten an update for 2018! The new stroller has a redesigned generously padded seat with an extended canopy and upgraded carrycot with superior ventilation. The new waterproof shopping basket is also much larger. Another big change is the look. 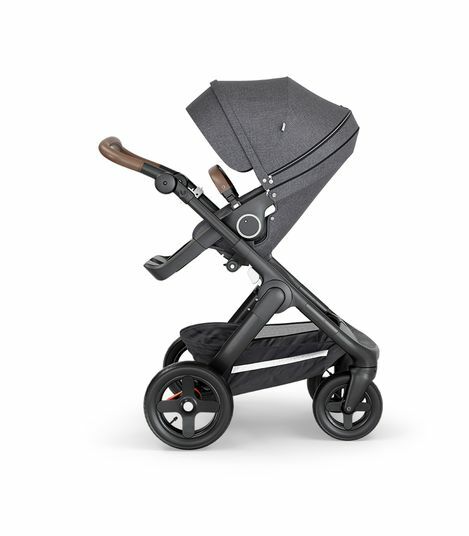 Premium from top to bottom, the new black chassis gives this stroller a sleek and rugged look and the new leatherette accents offer the premium look of leather without the maintenance. 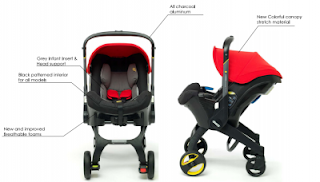 A new Britax stroller has been added to the lineup and this one has 12 different configurations, using seats, car seats and a bassinet. It's an upgrade from the previous B-Ready, not just with more seating options but also with a huge basket underneath and now a quick one-step fold. The B-Ready G3 will be available at the end of the month and can be pre-ordered now. 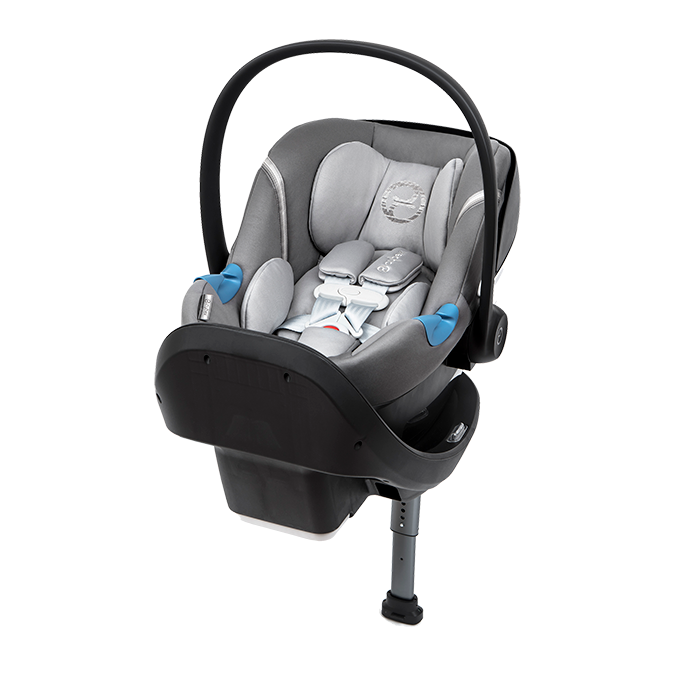 Cybex has upgraded its Aton car seat for the US with the new Aton M with Safelock base. What is the new Safelock base all about? It offers a new anti-rebound design and a height adjustable load leg for added safety, like most European models have. An anti-rebound design provides additional protection in the event of a crash by limiting the car seat's movement towards the back of the vehicle. A height-adjustable load leg helps reduce crash energy by redirecting forces to the vehicle floor and away from your baby. Other upgrades include a new 11-position height-adjustable headrest with integrated harness guide, the length of the harness changes automatically when the headrest is adjusted. This prevents any need for the difficult rethreading of the harness and makes it almost impossible to misuse. Also new is an updated XXL fold-away sun canopy fulfills the stringent UPF50+ sun protection standard. Yookidoo has launched a new play mat and activity center that enables babies to sit, play and interact with their surroundings. The play center has three stages. 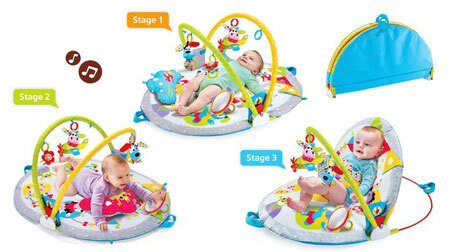 Stage one is is your traditional baby gym, stage two is for tummy play and stage three provides a place to sit and play. There are more than 20 developmental activities on this gym, including a mirror, teething toys and musical toys. We heard about this product last year and it is now available! The Nuna Leaf Grow is an updated version of the Leaf, featuring three recline positions to accommodate all children comfortably, up to 130 lbs. That's right, big kids can sit in it too (with the harness and pad removed). Also new is the toy bar, which is included and also removable.